For those who may not be familiar with Testdroid Recorder, here's a quick and dirty breakdown: it allows developers to record actions on the object level, eliminating the need for tests to be written manually. 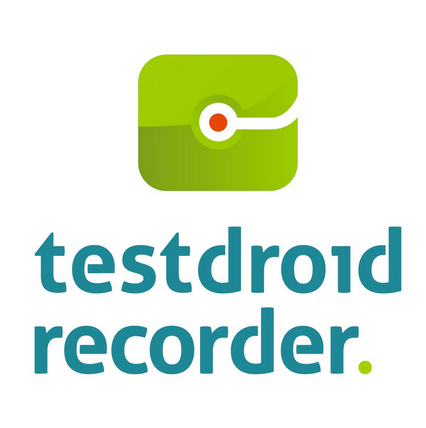 The test cases created by Recorder can then be used in Testdroid Cloud on hundreds of real Android devices. That's kind of the point of Testdroid in a nutshell, actually: to make life a little easier on developers when it comes to testing their apps. In addition to essentially eliminating the price of Testdroid Recorder, the company has also integrated Atlassian JIRA into Testdroid Cloud, PrivateCloud, and Enterprise. This will allow teams to easily track and share issues, as well as follow the progress as those issues are eliminated. Testdroid is the first product to take advantage of JIRA integration, further increasing the efficiency and productivity of development teams. And then there's Testdroid Interactive, a new feature of Testdroid Cloud that allows developers to select devices for manual testing. This should be used in conjunction with Testdroid's automatic testing as a way to pinpoint specific issues on problem devices, or perhaps just check app compatibility with specific units. 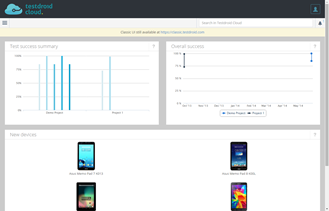 Testdroid also recently announced free testing – both manual and automatic – on devices powered by Intel Atom chips. The company added Nexus devices to its free testing program earlier this year, so now users can test on over 20 device without charge. If nothing else, this gives potential Testdroid users a chance to see what the service is all about before committing. Lastly, the Testdroid testing site got a nice facelift, which brings a much cleaner, more intuitive, and easier-to-use interface. The new UI focuses on simplicity and cleanliness, but the older interface – which Testdroid is now referring to as "Classic" – is still available for those who'd prefer to stick with what they know. Overall, it looks like the Testdroid crew has been hard at work on these new features. Whether you're a long-time Testdroid user or this is the first time you've heard of the service, there's something here for every app developer out there. 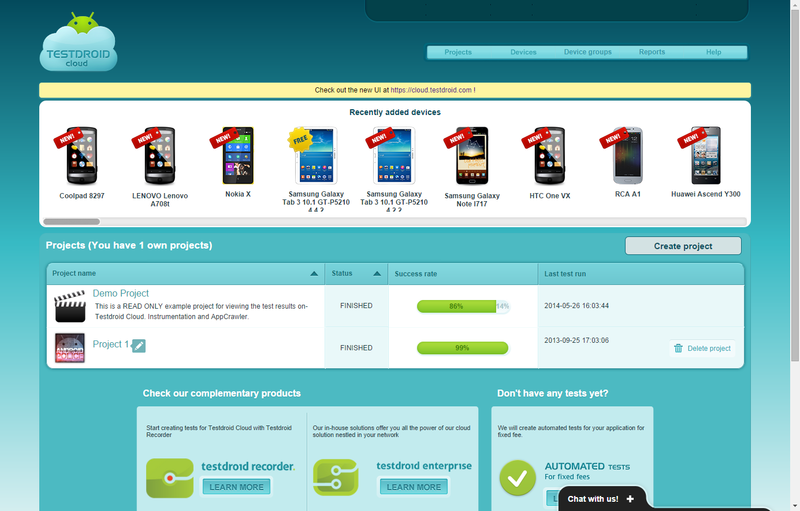 To get more information on everything Testdroid offers, start here.